When does a boat become a yacht? One answer has always been, you can tell a yacht when you see one. But, It really has nothing to do with size of the boat, weight of the boat, its style, sleeping quarters, heads, tillers, or a wheel. 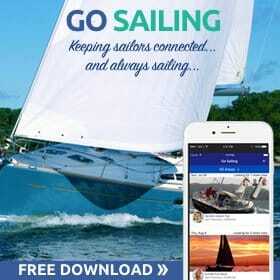 A yacht is a boat that was designed for the express pleasure of its owner. 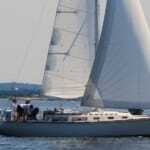 The yacht is an invention of the 14th century Dutch. 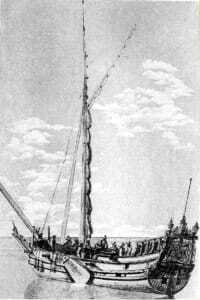 The Dutch used small, fast boats for chasing smugglers, pirates and criminals. Rich ship owners and merchants began using these small “jaghts” to sail out to celebrate their returning merchant ships. It quickly became chic to use these “jaghts” to take friends out just for pleasure. “Mary” was presented to King Charles II by the Dutch in 1660. Charles II of England spent 10 years in exile in Holland before he was returned to the English throne in 1660. His return to the throne was celebrated by the city of Amsterdam, presenting him with a luxurious 60’ yacht including a crew of 20. Her name was Mary. He took great pleasure in sailing her up and down the Thames. He studied navigation and even naval architecture and he built approximately 20 yachts during his lifetime. It can be said that he was the world’s first yachtsman. His enthusiasm for yachting was contagious and his brother James, Duke of York, joined him and also became an avid yachtsman as well. As always when there are two sailboats on the water a race ensues. Soon the first organized regatta was planned as a 40-mile race on the Thames. It took place in 1661 between Katherine, Charles’s newly constructed yacht and Anne, the Duke of York’s new yacht with Charles himself at the helm Katherine won and a new sport was born. Yachting stayed the Sport of Kings for over a century, but by the 1800s yachting had grown to included participants of more than just the crown heads of Europe. The worlds wealthiest had joined in. Yacht Clubs were forming. The first yacht club in the world, called the Cork Water Club, was established in Ireland in 1720, followed by 2 more clubs in England in 1773 – the Lough Ree Yacht Club and the Starcross Yacht Club. 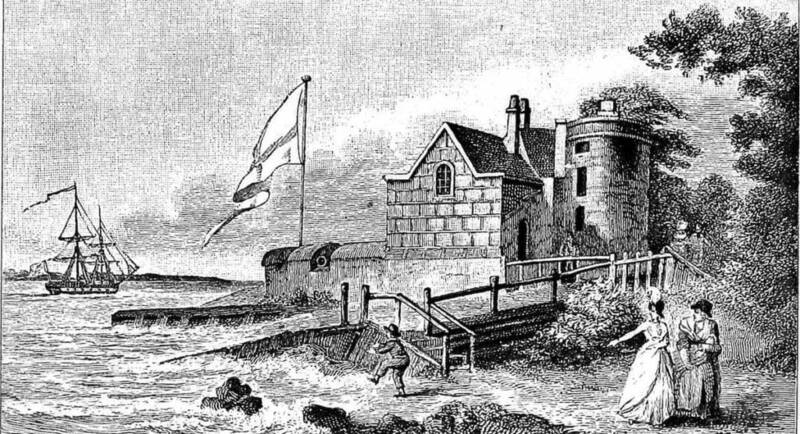 Cowes Castle became the headquarters of the Royal Yacht Squadron around 1858. Probably the most famous of all the English yacht clubs the The Royal Yacht Squadron was founded on June 1, 1815 in the Thatched House Tavern in St James’s, London as The Yacht Club by 42 gentlemen interested in yachting. 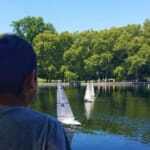 Across the pond the New York Yacht Club (NYYC) was started on July 30, 1844 when John Cox Stevens invited eight friends to his yacht Gimcrack, anchored in New York Harbor. 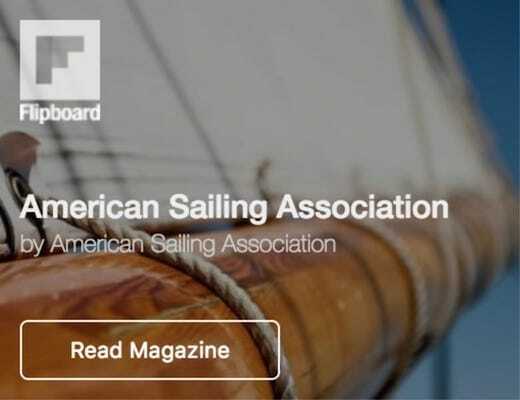 They formed a syndicate to build a yacht with the intention of taking her to England and making some money competing in yachting regattas and match races. 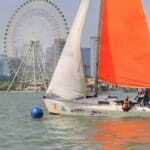 They choose to build a Pilot style Schooner to represent the club; at the time there was no faster design! Pilot Schooners would lie at anchor in the inner harbor of New York City and wait for the behmoth square rigged Clippers carrying goods between America and Europe. The Pilot Boats purpose was to guide the huge square riggers that would appear at the entrance to New York Harbor’s Verazno Straights, to a berth in the City. The Schooners had to be fast to make a living. First one to the cargo ship got the job second got nothing. 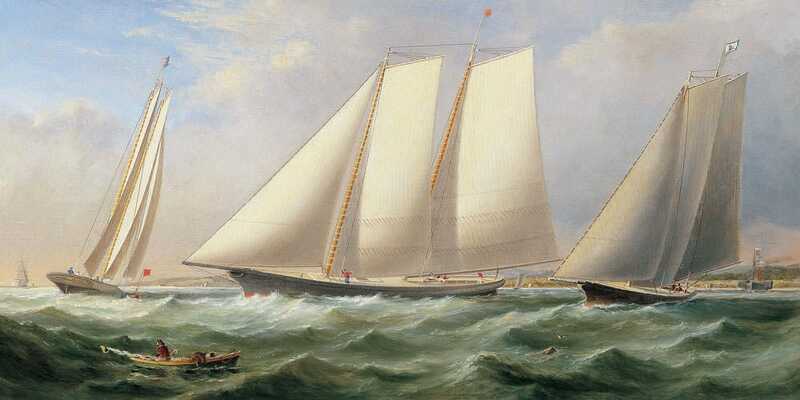 The syndicate contracted with master schooner designer George Steers for a 101 ft (30.78 m) schooner which was christened America and launched on the 3 of May 1851. America crossed the Atlantic on her own bottom that year and challenged all of England’s fastest yachts to a match race. No yachts were willing to race her. 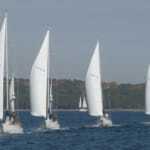 Finally, America joined a free-for-all on Friday, August 22, around the Isle of Wight, racing against 15 yachts of the Royal Yacht Squadron in the club’s annual 53-nautical-mile (98 km) race around the Isle of Wight. Finishing 8 minutes ahead of its closest rival. America had won the Royal Yacht Squadron’s “Hundred Guinea Cup“, later called the America’s Cup in honor of the yacht that won it. Watching the race was Queen Victoria, who supposedly inquired, “Which is first?” Told it was America, she asked, “Which is second?” “Ah, Your Majesty, there is no second,” was the reply. Or so the story goes. The NYYC defended that trophy from 1870-1983. This has been described by journalists as “the longest winning streak in sports“. 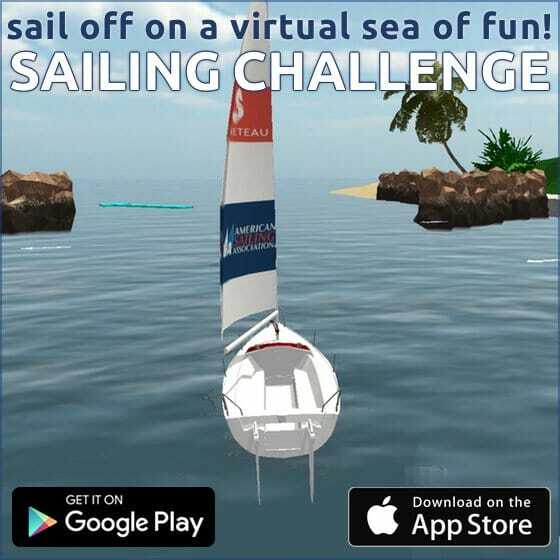 In part 2 we’ll learn all about the race that became famous as the Great Transatlantic Yacht Race of 1866 and it can be said that this race launched offshore ocean racing. 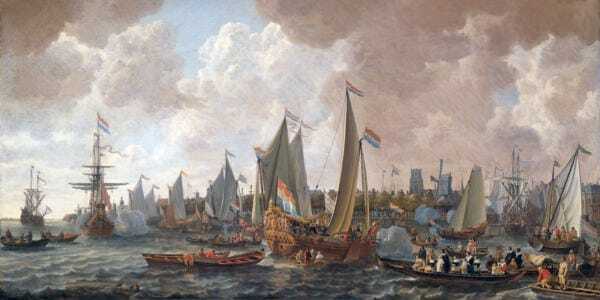 The first “jachthaven” (marina) was built in Amsterdam in 1622, the slip fees were steep at that time as well. Also, how can you consider someone the “first yachtsman” while in another country people have been boating since forever? Is the “Cork Water Club” still in operation?